If you feel like you need a soundtrack for your saturday night, this post might be just what you need. Pulsating bass and massive hooks, this is music that will make you dance. If you’ve been reading this blog, you probably already know Minitel Rose. 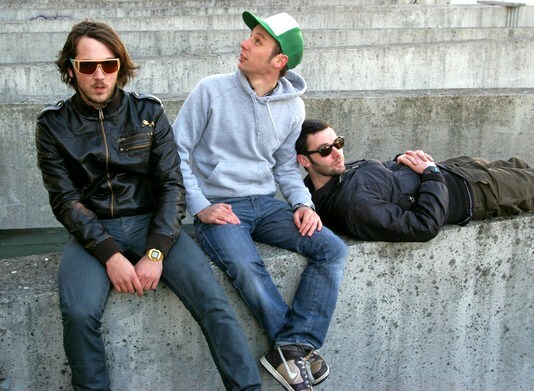 Back in June, this French electro trio released their critically acclaimed debut LP Atlantique, which followed an almost cult mini album, The French Machine, released in 2008. Well, if you like Minitel Rose, we’ve got news for you. The boys have just released a new single off the aforementioned Atlantique LP and they’ve chosen the excellent “Heart of Stone”. This song is pure Minitel Rose and certainly one of the album’s outstanding tracks. To promote “Heart of Stone” they shot a sweet video (directed by Nicolas Davenel and Thomas Delebecque) that you can watch HERE. As a bonus, here’s a shiny, synth-filled remix of previous single “Wild Birds” courtesy of Moscow-based Dj and producer Samaranch.